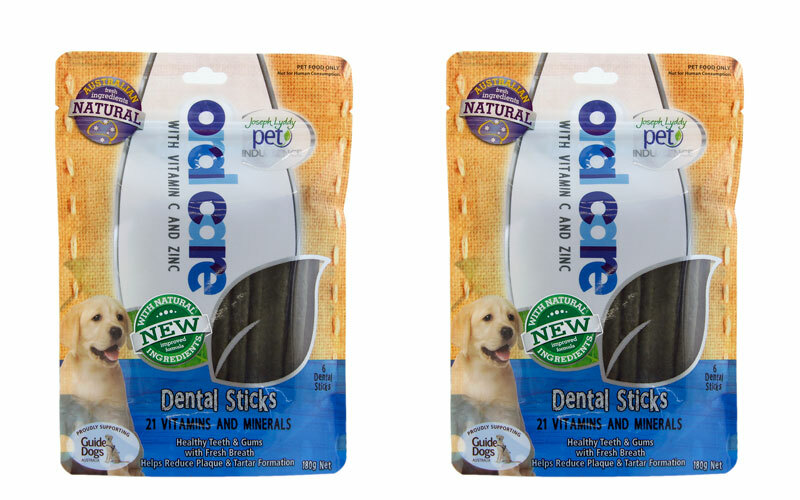 Keep your dog’s teeth and breath clean and fresh with the Oral Care Dental Sticks, available now from Joseph Lyddy. With a firm, chewy texture designed to massage your dog’s gums, these sticks aid in eliminating plaque build-up and will make kisses from your pooch all the more pleasurable. All you need to do is fill out the form below and tell us why you and your pet would love to win in 25 words or less. Entries close April 7, 2017. Don’t forget to read the terms and conditions before entering. can they be for older dogs?